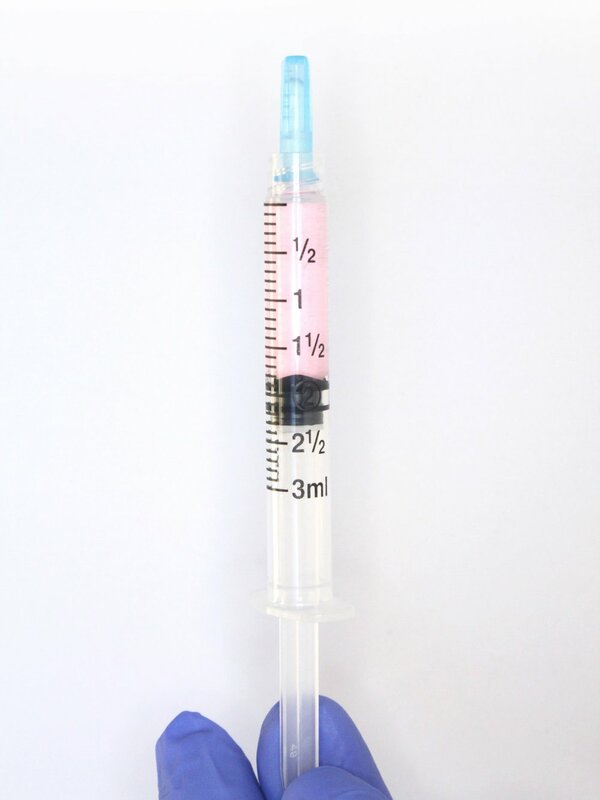 Axolotl Shot™ is an ambient temperature (25±7˚C, 77±13˚F) bioactive regenerative fluid preloaded in a syringe and terminally irradiated for entry into a sterile field. Axolotl Shot™ is derived from the amniotic components of the placenta to advance soft tissue repair and reconstruction. Axolotl Biologix uses our proprietary BioSym™ process to manufacture Axolotl Shot™. The two primary cell lines which reside in the amnion are human mesenchymal stromal cells (hMSC) and human amnion epithelial cells (hAEC). Both of these cells are considered to be pluripotent stem cells. Axolotl Shot™ contains growth factors and cytokines such as epidermal growth factor (EGF), vascular endothelial growth factor (VEGF), and transforming growth factor – beta (TGF-ß), Interleukin-10 (IL-10). These proteins are essential for fetal growth and development and express significant therapeutic benefits when used as a treatment to stimulate repair and regeneration. Axolotl Shot™ is immune-privileged, anti-inflammatory, anti-fibrotic, pro-vascular, and cytoprotective because of the cells being sourced from the amnion. These secreted factors also signal endogenous progenitor cells to promote regeneration and repair of damaged or degenerated tissue. The donor tissue is recovered and processed aseptically, in accordance with all FDA and AATB guidelines and quality assurance standards in a controlled environment. Axolotl Shot™ allograft tissue products have been subjected to microbiological studies at recovery and final packaging.